We take our Beer and Wine seriously and always strive to offer a really good thoughtful choice. 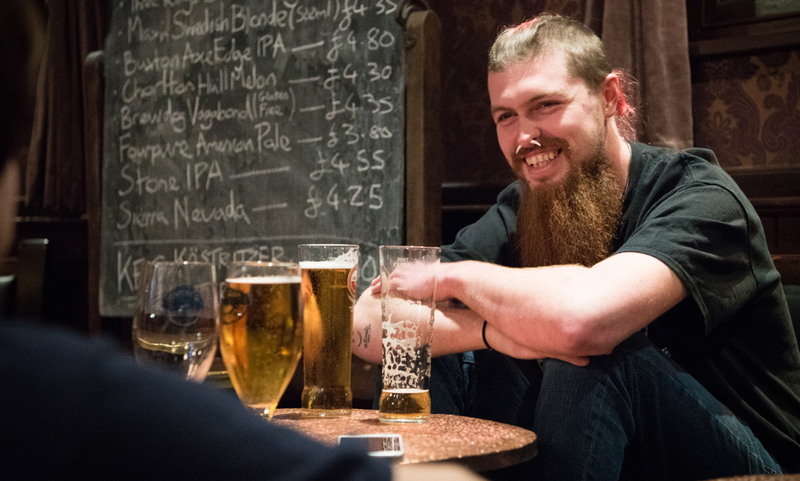 If you’re a lover of Beer, we offer an vast, ever changing eclectic selection of light, golden, dark & malty ales. 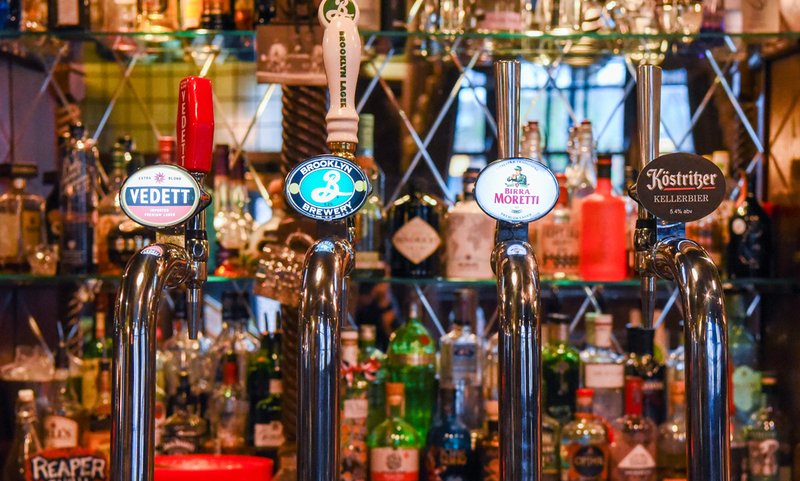 We do, however, also have a range of quality lagers and ciders from favourites such as Fosters and John Smiths to premium beers such as Maltsmiths and Moretti along with a number of foreign bottled beers. 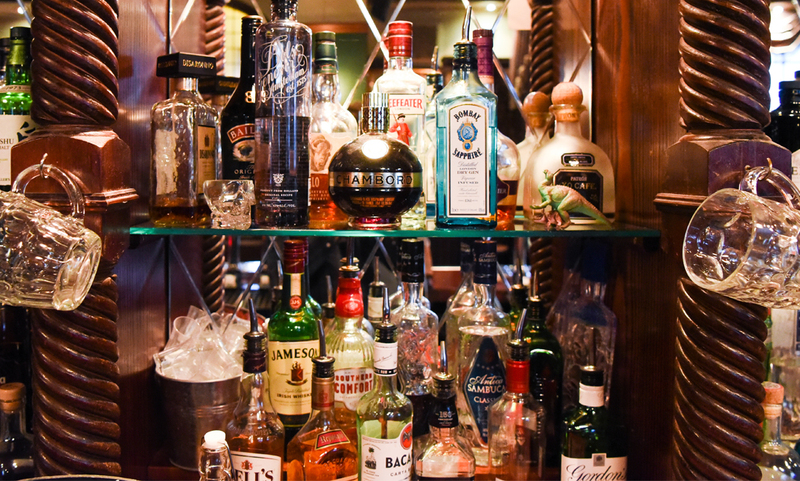 Our specially selected range of cocktails and premium gins are amazing and something we’re very proud of. We’re always looking for something new and different, whilst listening to our customers and retaining the absolute winners. We also offer 10% discount on our real ales to CAMRA club members. These beers are selected for their exceptional quality. Our guest cask ales change regularly so keep an eye on this page or pop into the pub to try what’s new. MARTINI MONDAYS 20% OFF ALL VERMOUTH COCKTAILS AFTER 5PM! Our selection of Premium Pins is the most comprehensive in town... All Gins listed are served with Shweppes tonic as standard. Ask at the bar for our current range of Guest Gins. Fresh, full bodied Gin made in the heart of London with twelve botanicals. Refreshing, pot distilled Scottish Gin made with cucumber as a primary botanical. Exotic spiced Gin with botanicals such as black pepper, coriander & Indonesian cubeb berries. Gin from Hertfordshire, re-distilled through Seville Orange Zest. Made in the Shetlands usingusing hand picked botanicals. Small batch Gin named after the still number of its origin. Fresh, zesty Gin made using highly acidic Rangpur limes. A fruity, fresh Portugese white wine, made from the wonderfully named local Fernao Pires grape. It shows ripe zesty aromas, with good acidity on the palate and impressive body. Fresh & balanced palate with a crisp finish. Fresh with tropical and flinty tones, well structured with a lingering finish. A well rounded & fresh wine with a delicate aroma of sweet honeysuckle, tropical fruits and a subtle hint of herbs. A fruity, medium bodied Portugese red wine, made from the Castelao grape. It shows ripe raspberry and violet aromas, with an unoaked but pleasantly earthy palate. Smooth in texture and generous in flavour, with ripe plum and gentle spice that lingers on the soft finish. Peppery, plum and vioulet characters balanced with subtle oak, a flavoursome wine that is soft and smooth. Raspberry, blueberry, violet and spices. Toasted oak and mineral notes, sweet, round and ample, lingering finish. Spicy fruit aromas combined with typical notes of vanilla from oak ageing. Classic red berry and pink grapefruit aromas augmented by hints of black pepper and wild herbs. In the mouth its delicate berry flavours have a refreshing citric edge and light peppery spice. If you want a great selection of beers and good food and a nice friendly atmosphere with a topping of retro tunes, then go to The Ivy House, you are always made welcome. It's my local and I go in with my dog all the time. Good food good beer good banter. Fantastic local and a great place to while away a Saturday afternoon, sample the great gins and ales before whooping it up in the evening.